Identifies relevant facts on thirty types of human-rights violations: executive orders and new laws that violate basic rights; extensively quotes the US Constitution, the UN Charter, and international treaties the USA has ratified or signed. Describes some successful efforts to combat the government’s suppression of our basic liberties. Beautiful photographs and stories illustrate each article of the UDHR. Explores the dramatic transformation of a world patterned by centuries of traditional structures of authority, gender abuse, racial prejudice, class divisions and slavery, colonial empires, and claims of national sovereignty into a global community that now boldly proclaims that the way governments treat their own people is a matter of international concern–and sets the goal of human rights “for all peoples and all nations.” An excellent account of the development of the UDHR from concept to reality. Chomsky observes the 50th anniversary of the Universal Declaration of Human Rights as a “Path to a Better World,” while chronicling how far off the trail the United States is with respect to actual political practice and conduct. Analyzing the contradictions of U.S. power while illustrating the real progress won by sustained popular struggle, Chomsky cuts through official political rhetoric to examine how the United States not only violates the UDHR, but at times uses it as a weapon to wield against designated enemies. 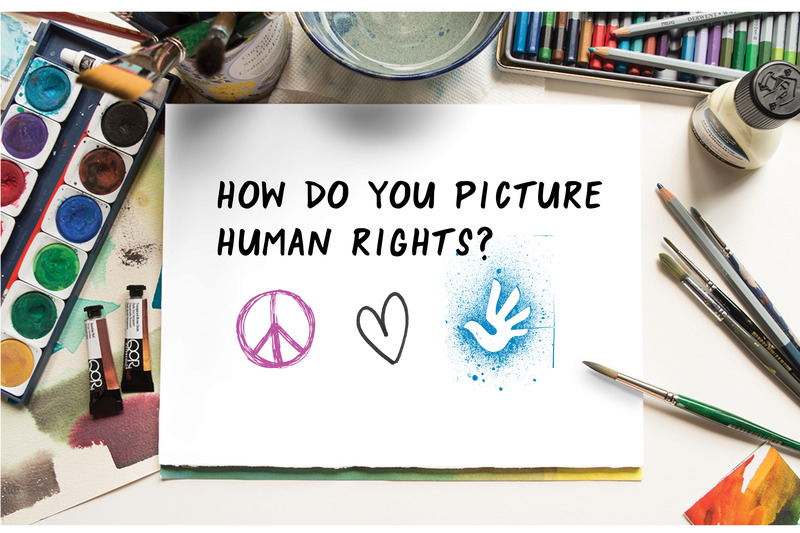 Celebrate the upcoming 70th Anniversary of the UDHR by submitting a poster today! Open to ages 5 to 21.